Over the last months I haven't added many new features. It's mostly been rewriting and improving existing code. Primarily, there's a new memory manager, and the GUI's been simplified. However, there are two new features I want to show off. 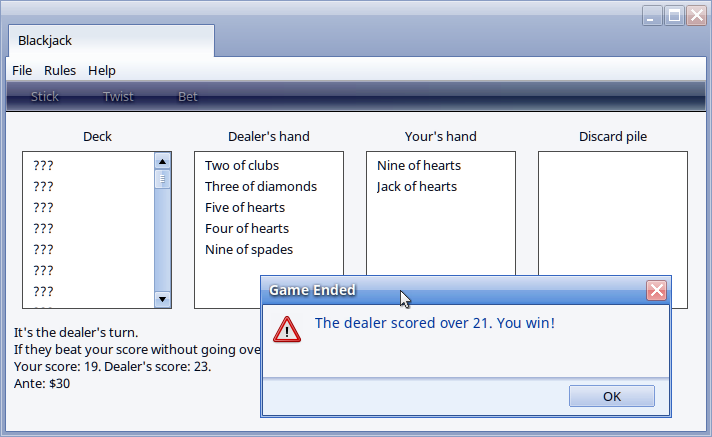 I added a small Blackjack game to the OS. 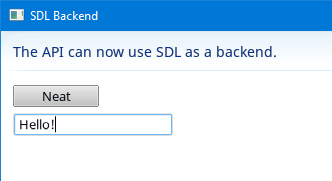 The GUI can now run with a very-much-work-in-progress SDL backend on Windows.